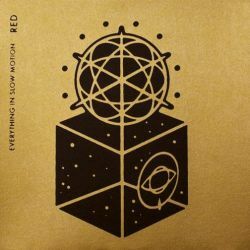 Die Progressive Rock Band Everything In Slow Motion ist bei Facedown Records unter Vertrag genommen worden. Infos zur Band gibt es z.B. auf www.facebook.com online. "After working on 'Give Me Rest' for Hands, I realized I wasn't ready to throw in the towel yet. Spending most of the writing and recording process alone was the most therapeutic way of working through my issues with my faith. And I realized that as human beings, I think it's our job to be our brothers' keepers, because even with the tiniest effort, you can drastically change the course of another person's life. "The song 'Red' is the most powerful song I think I have ever written. It was written to try to encourage people to be better. The fact that people can be abused, abandoned, and robbed of ever having unconditional love in their life and still grow up to be some of the most loving and kind hearted people blows me away. Everyone out there has a story or a road that was traveled to put them exactly where they are today. We live in a broken world, with broken people. But each of us has the power to restore hope within someone else." Red is available now as a limited edition 7" and digitally worldwide through iTunes, Amazon MP3 and all other digital accounts. The 7" is an extremely limited pressing of 330 copies, and includes hand-numbered screen printed covers, available exclusively through the Facedown Records online store. All 7" orders will receive an instant download of both songs."